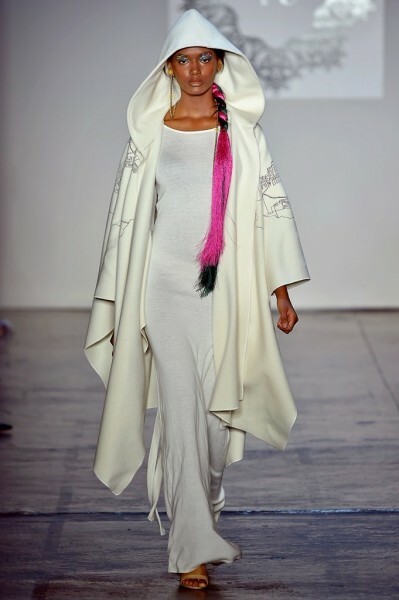 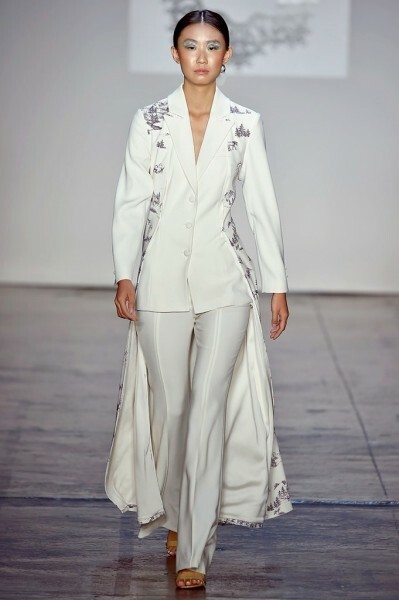 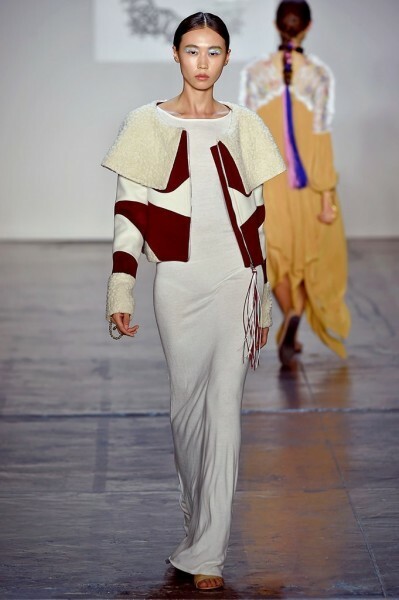 Take a large dollop of whipped cream and tulle, adhere it to an embroidered blazer, and you have the opening number for the LANYU Spring/Summer 2019 show. 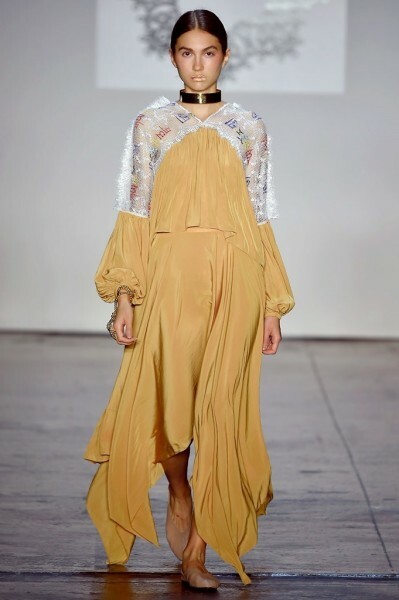 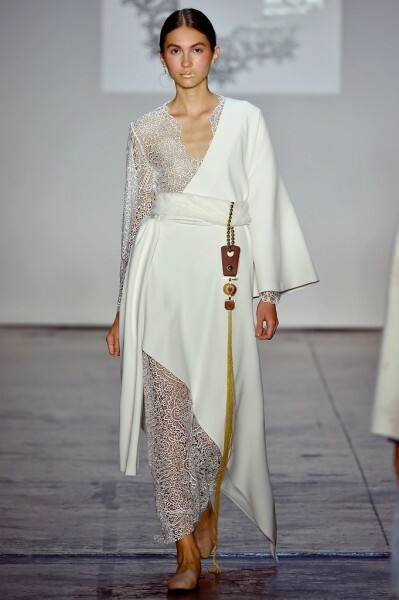 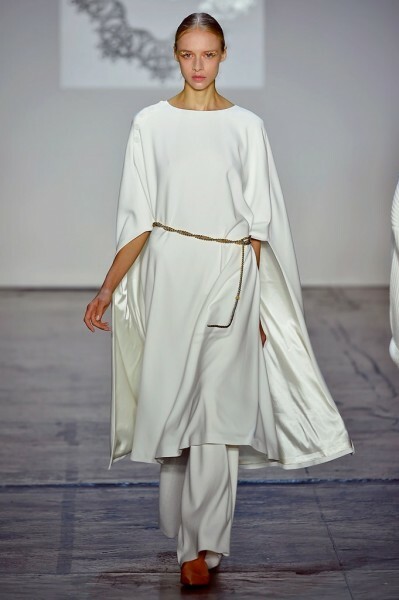 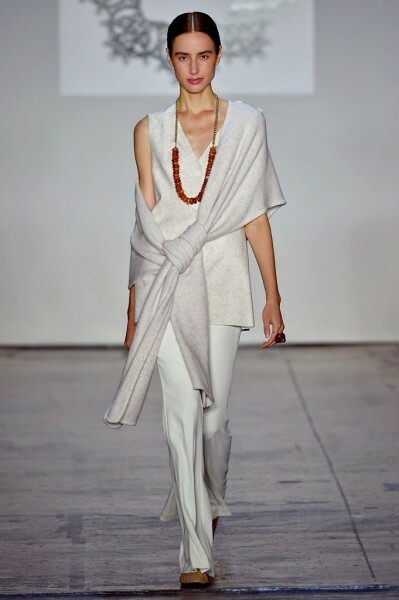 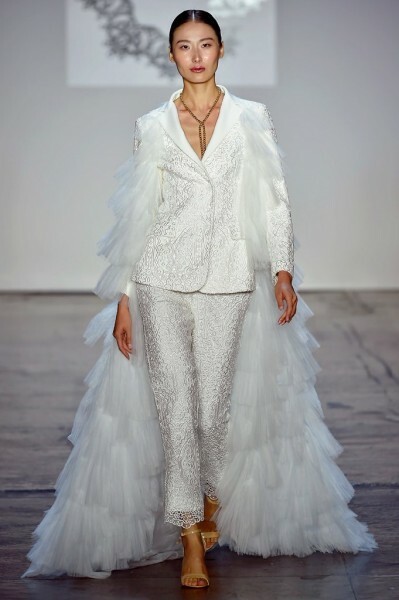 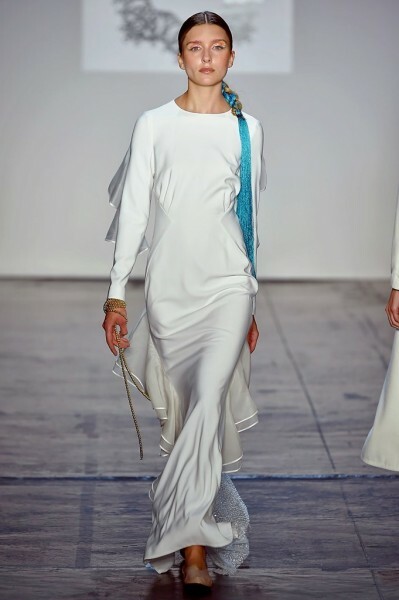 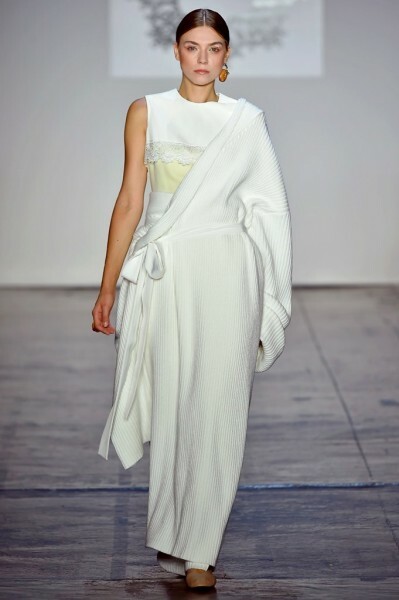 White lace and embroidery were key elements in Lan Yu’s collection; an unusual and elegant pairing of a transparent lace dress with an asymmetrical wrap and tassel stood out, along with a white belted coat. 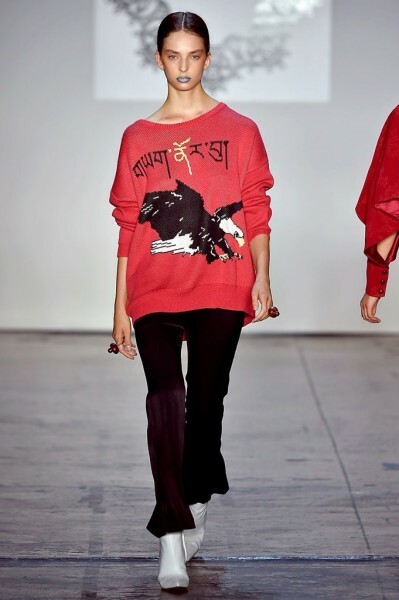 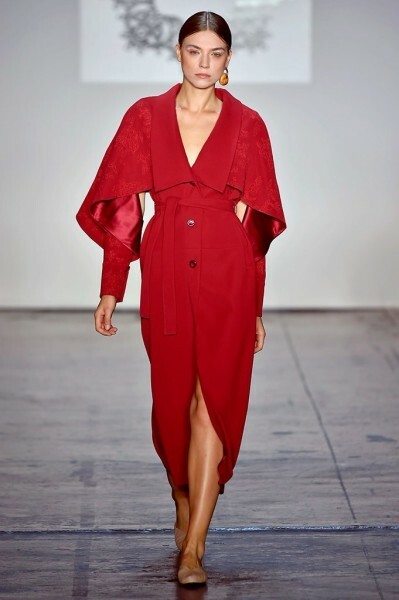 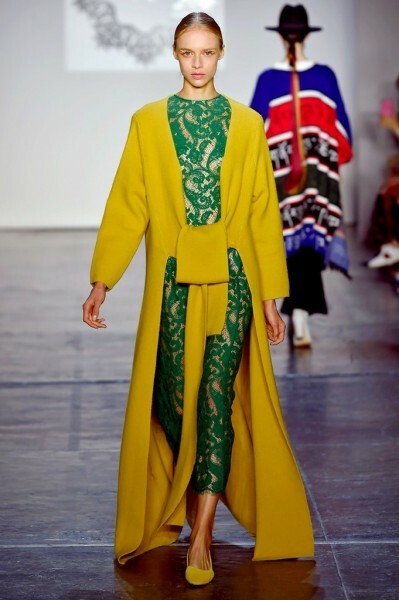 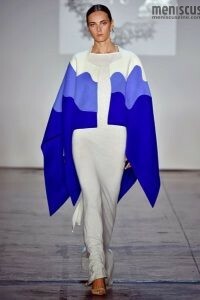 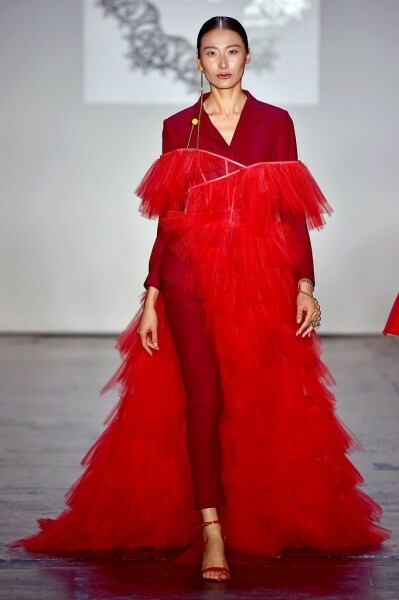 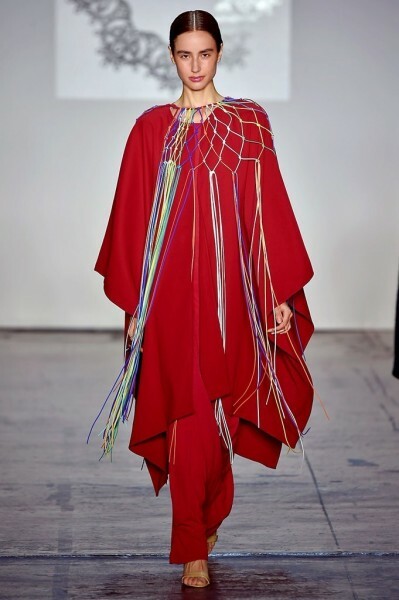 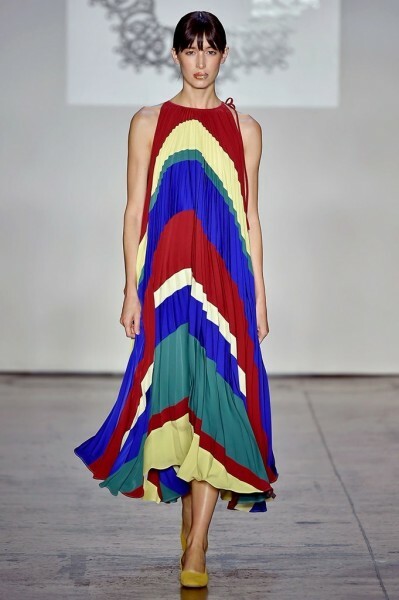 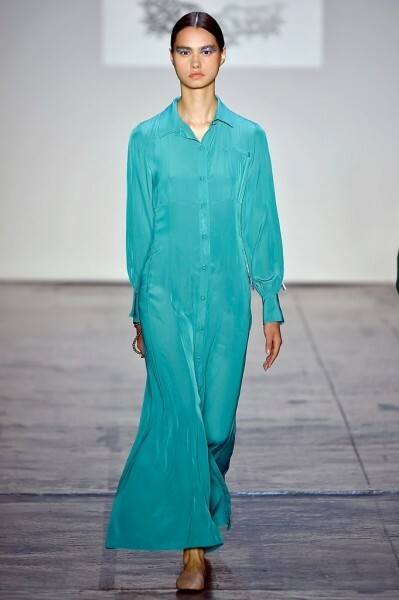 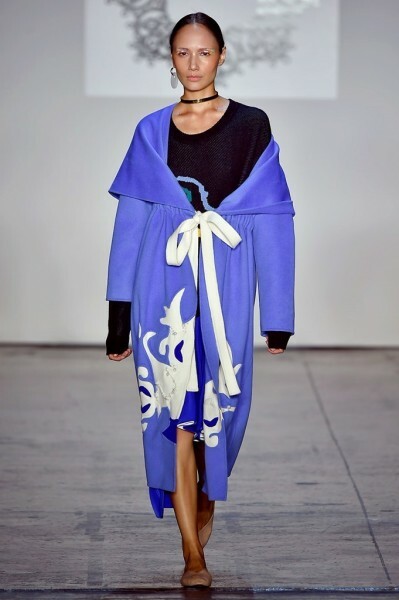 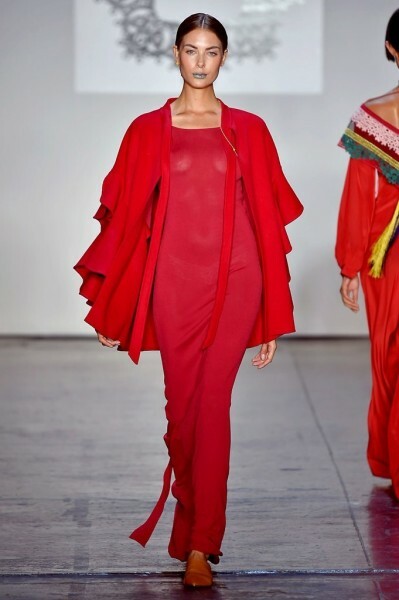 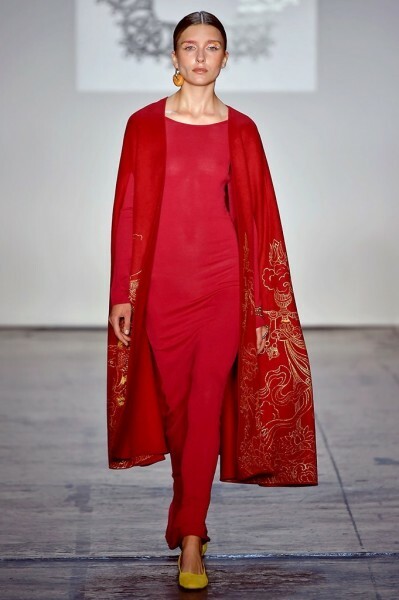 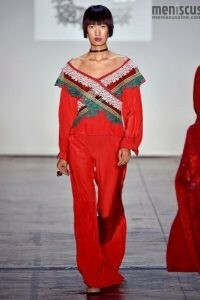 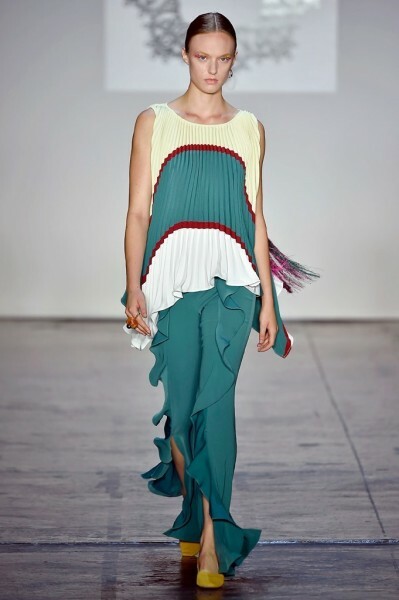 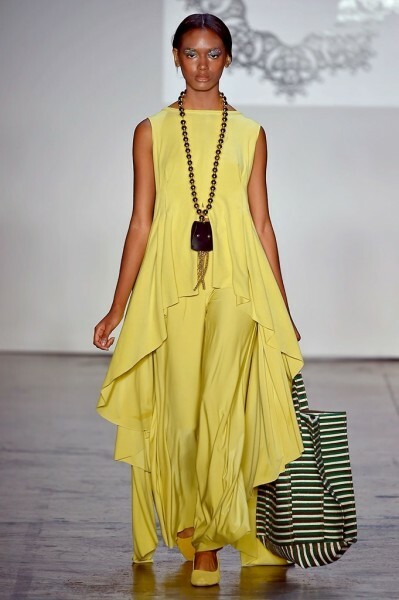 Unlike the typical spring fashion palette, Yu included a color scheme including more robust shades such as scarlet, emerald green, cobalt and mustard. 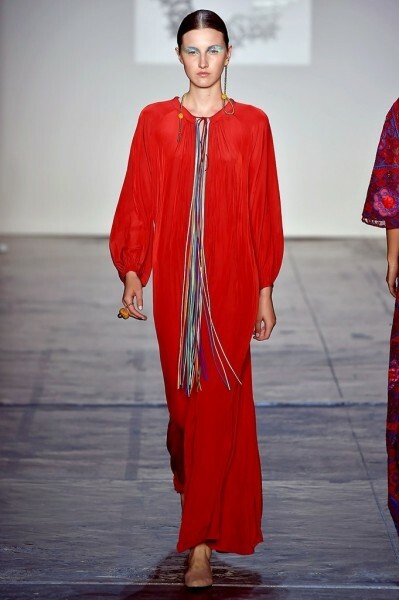 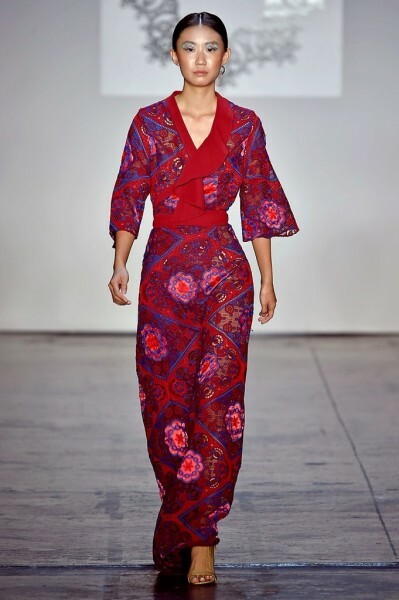 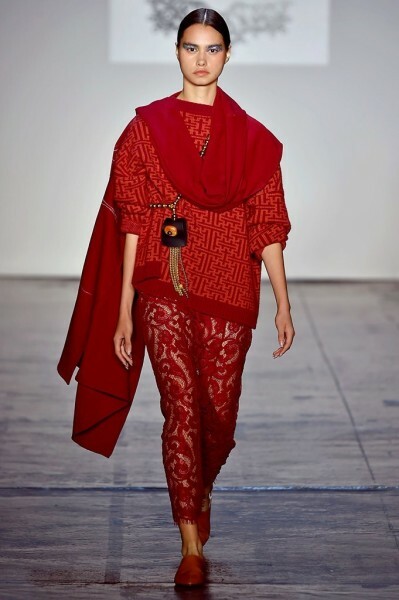 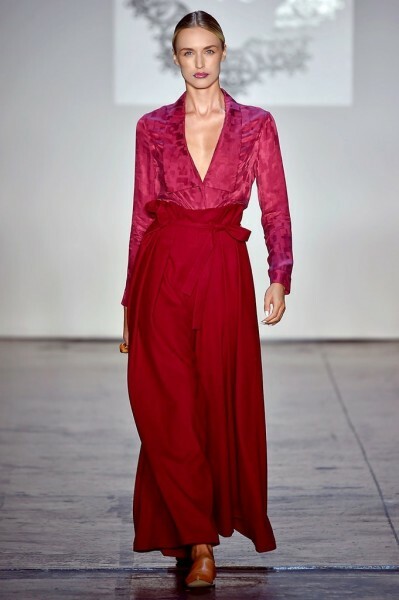 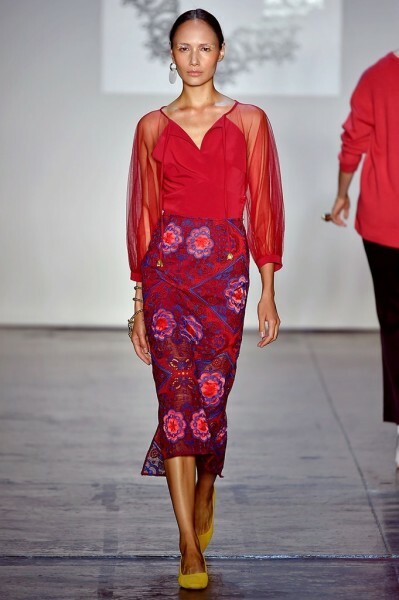 Although not exactly a cohesive collection, Yu did include some beautiful prints: a pink and red flower and lace print appeared in a maxi dress and pencil skirt, and scarlet paper bag palazzo pants were paired with a bright fuschia box print shirt.